1935: Carl Forslund Sr. quits as a salesman for Stickley Bros. to begin his own retail consignment store. 1968: Brothers Forslund Company established to succeed Eaton Shops and Grand Rapids Custom Shop in manufacturing furniture for sale through Carl Forslund retail and mail order. Name is later reversed to Forslund Brothers. 1989: Forslund Brothers manufacturing division sold to Nucraft Furniture Company of Comstock Park. 1990: Carl Forslund retail division sold to Custer Office Environments of Grand Rapids. 1993: Limited production of selected Forslund pieces is resumed for a short time through an arrangement with Swartzendruber Hardwood Creations of Goshen, Indiana. The manufacturing, retailing, and mail-order divisions of Forslund were all established by Carl V. Forslund, Sr., who remained in charge of the company from its inception until his retirement in 1972. He was succeded by his sons, who joined the business in the 1940s and 1950s. Carl Forslund, Jr. headed the manufacturing operations, Jon Forslund the retail, and Blake Forslund the overall administrative and financial management of the companies. 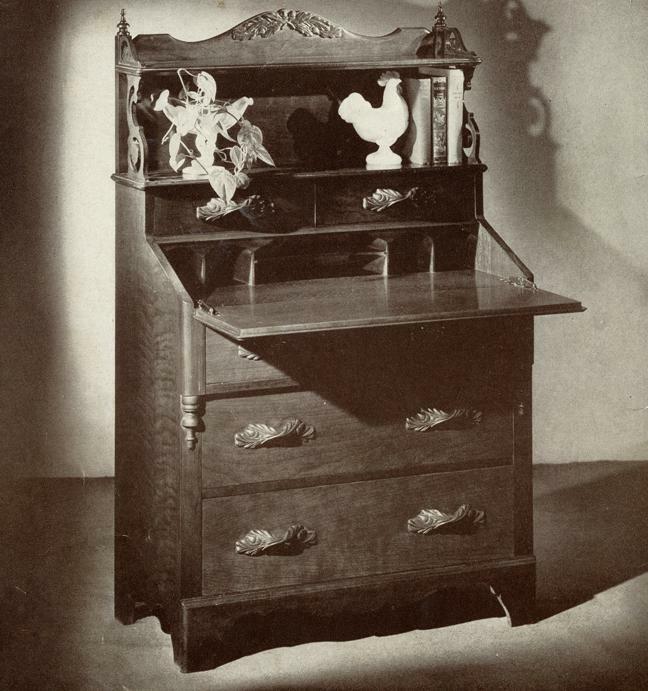 Forslund specialized in the manufacture of cherry, oak, and walnut furniture, in revivals of various Victorian and Early American styles. The mail-order business adopted a “folksy” style of advertising, which influenced its product line, and had great appeal to its customers. Reproductions and adaptations were made from originals associated with colorful historical figures. 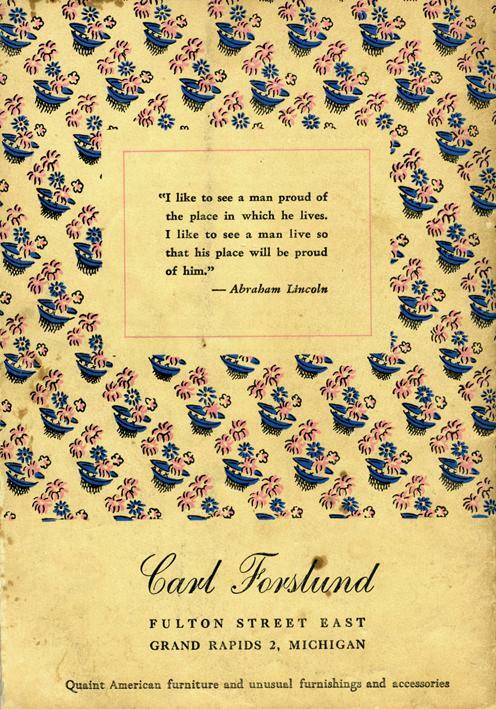 Forslund catalogs were filled with pieces named for famous individuals and lively histories of their namesakes. Such pieces as the “Rip Van Lee Chair” and the “Aunt Lucy Ball’s Chair” were produced for decades and became popular favorites for local residents and devoted mail-order customers. The Public Museum of Grand Rapids has a significant collection of trade catalogs as well as business records from this company. Forslund adopted the silhouette of a Merry-Go-Round horse as its trademark and the phrase “Timeless Furniture” as its motto. 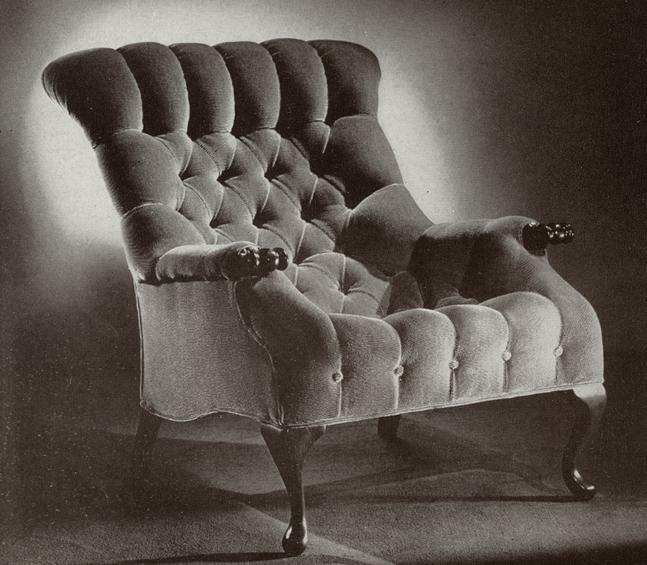 Manufacturer of upholstered furniture with Honduran mahogany frames, sold through Carl Forslund’s store and mail order. 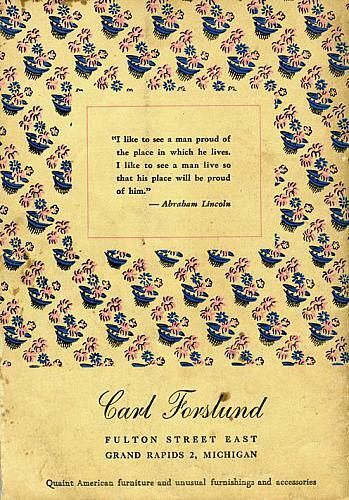 Carl V. Forslund was president. Retail arm of Forslund Brothers Co.
1935: Company begun by Carol Forslund, Sr.
* Note: The color photograph at the top of the page is the back cover of the first Carl Forslund catalog, published in 1948. The front cover was slightly stained and does not show as well. The catalog was donated by Valerie Starr.